This article was originally published on GR in October 2017. I recently went to a theater production of George Orwell’s ”1984” and also recently viewed the Ken Burns 10 episode documentary “The Vietnam War”on PBS. Although the Burns documentary was flawed in many respects, it was still well worth watching. I highly recommend that everybody watch it. It happens to be still running on PBS (one episode each Tuesday night in my Duluth, MN area). 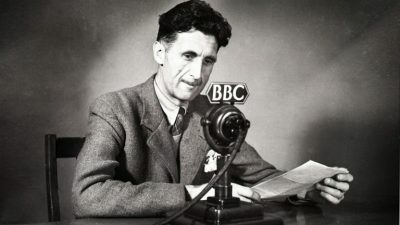 Given the fact that the storylines of both the documentary and the play have relevance in our increasingly proto-fascist, increasingly militarized nation, I have decided to re-publish a slightly revised version of my April 4, 2017 Duty to Warn column about Orwell’s work of art and King’s critique of the Vietnam War. The famous date “April 4th, 1984” appeared in one of the early pages of George Orwell’s most important novel (although the antifascist novel “Animal Farm” was in the same league as the antifascist novel “1984”). 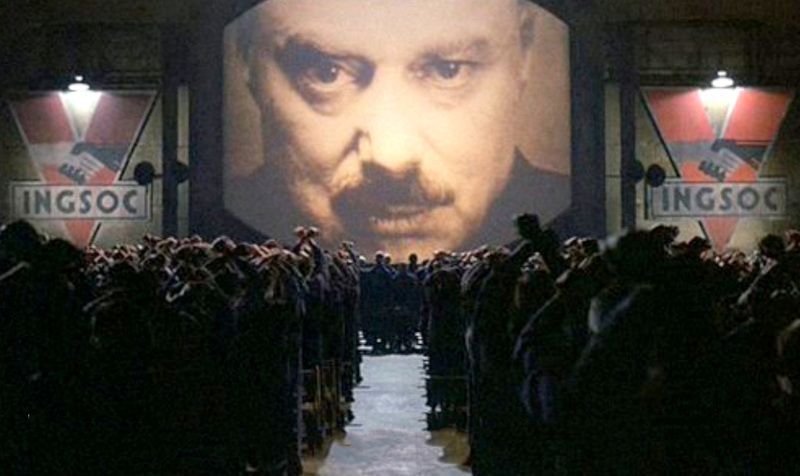 “1984” was published in 1949,and was a warning to readers about the continued threats to the world of a future totalitarian, corporatized, militarized police state – despite the defeat of Nazism in 1945. The novel was set in the fictional Oceania, once a thriving democracy which had been economically, structurally and morally torn apart by an atomic war that had started a perpetual world war. The date “April 4, 1984” was the first entry in the diary of Orwell’s main character, Winston Smith. The previously free nation that he wrote about represented Great Britain and its allies forty years after the war had devastated the world, leaving it in a state with perpetual mind control and police state repression and torture and whose cruel and tyrannical elite (representing less than 1% of the population) ruled with an iron fist. The political system of Orwell’s Oceania was abbreviated INGSOC (short for English Socialism, which was obviously patterned after Hitler’s Nazi Party (short for National Socialism). The regime’s famous “doublethink” slogan was “War is Peace; Freedom is Slavery; Ignorance is Strength.” (to which I admit I once added: “Bush is President”. Orwell was an avowed anti-fascist, for he had experienced true peace and yet had witnessed a world war and the rise of militarism, corporatism and fascism in post-World War I Italy, Germany and Spain. He was particularly aware of powerful fascist movements in his homeland that involved Oswald Mosley and his 1930s nationalist political party:the British Union of Fascists and National Socialists. Orwell saw the efforts of Vidkun Quisling’s fascist political party in nearby Norway, the National Unity Party. And Orwell may well have been aware of the foiled fascist coup d’etat attempt in 1933 that had been planned by America’s powerful, right-wing plutocrats that were afraid of Franklin Delano Roosevelt’s plan to correct America’s obscene wealth disparity following the stock market crash of 1929. These wealthy, greedy, anti-patriotic and anti-democratic (and therefore traitorous) elites had conspired to overthrow the liberal Roosevelt administration by military force shortly after Roosevelt’s inauguration (google“The Business Plot to Overthrow Roosevelt” to find out who the elite traitors were). So Orwell understood the symbiotic relationships between Big Business and the Military/Industrial/Police State Complex (ie, fascism, whose orchestrators may be either friendly or frowning), whether it was occurring in Germany, Japan, Israel, South Africa, South America, Egypt, Saudi Arabia or in the United States. These relationships are currently alive and well and are in play in many 21st century nations all around the world. In 1936, knowing that he had to do something, Orwell joined the heroic anti-fascist Lincoln Brigade, along with many American idealists, and fought on the side of the pro-democracy forces in the civil war against the Spanish military dictator Francisco Franco. Interestingly, the Catholic Church supported the Catholic dictator and his brutal regime in the fight against the “godless” pro-democracy leftists (the same reason that the official Catholic Church in Germany supported the capitalist Hitler against the German Communist Party). In Spain’s killing fields, Orwell experienced the cruelty, carnage and futility of war up close and personal. Witnessing the military devastation of future generations, the planet, the children and other living things during the war, he began writing 1984 right after Germany surrendered. The book was published in 1949. Tragically, Orwell died in 1950 before he could possibly appreciate how influential the book was. The protagonist of Orwell’s 1949 novel, Winston Smith, wrote the date “April 4, 1984” on the first page of his clandestine diary, fully realizing that the surveillance state he suffered under (called “Big Brother” in the novel) and in which he “lived” and worked would likely punish him, imprison him or even execute him if his act of defiance (writing a diary) was ever found out. To read some plot summaries of the novel, click here. April 4, 2017, was the 49th anniversary of the execution of Martin Luther King, Jr. The assassination was orchestrated by un-identified – and therefore un-prosecuted – American Deep State assassins within (or hired by) the US government. The details of the plot to kill King have been documented in a number of books which have been successfully censored out of America’s consciousness and omitted from every officially-sanctioned history textbook. For the real story of MLK’s murder, I recommend reading the book about the trial that the New York Times, the Washington Post and every other major media outlet in the US (!) black-balled – to their eternal shame. That jury trial posthumously exonerated James Earl Ray and identified some of the plotters. The book I am referring to is titled An Act of State: The Execution of Martin Luther King, Jr. 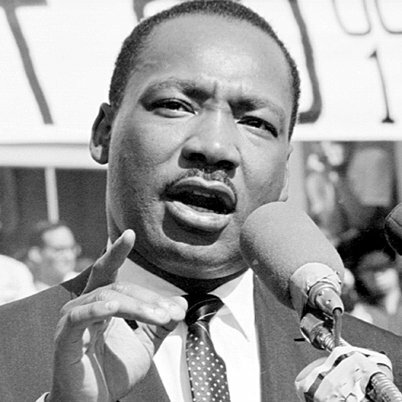 Exactly one year before his assassination on April 4, 1968, King delivered a powerful speech to members of Clergy and Laity Concerned (condemning the war in Vietnam) at the Riverside Church in New York City. In that speech, King outlined many of the reasons that people of conscience like him – especially people of the Christian faith – needed to speak out against the atrocity-producing war in Vietnam. That 1967 speech, much like the jury trial that proved that the United States government had framed James Earl Ray for the murder (thus proving complicity in the crime), was black-balled by the mainstream press. The speech was titled Beyond Vietnam: A Time to Break the Silence. It can be read in its entirety here. MLK’s deservedly-famous anti-war speech was intolerable to the United States Deep State, which included the US military-industrial complex, the assorted corporate war profiteers, (especially the weapons industries), the CIA and even the FBI (J. Edgar Hoover hated King and everything he stood for). Most observers of the civil rights and anti-war movements realized in retrospect that the speech represented the signing of King’s own death warrant. The patsy and perceived “white trash” James Earl Ray was falsely accused of the murder. Ray, under pressure and in solitary confinement was coerced to accept a plea bargain that was offered by a cunning Deep State-affiliated lawyer. It was a bargain that Ray eventually saw through and recanted of. Read the following words of wisdom from MLK and open your eyes to see what is happening to all those who are suffering and struggling to survive on our increasingly poisoned planet. And then, in some way that matches with your abilities, please join the nonviolent anti-fascist resistance movement as aggressively as you are able – before we are faced with what George Orwell and Martin Luther King saw coming and what Winston Smith experienced. That truism should inspire every person of conscience to speak out. “They must see Americans as strange liberators. The Vietnamese people proclaimed their own independence in 1945, after a combined French and Japanese occupation and before the communist revolution in China. They were led by Ho Chi Minh. Even though they quoted the American Declaration of Independence in their own document of freedom, we refused to recognize them. Instead, we decided to support France in its re-conquest of her former colony”. “What do they think as we test out our latest weapons on them, just as the Germans tested out new medicine and new tortures in the concentration camps of Europe?